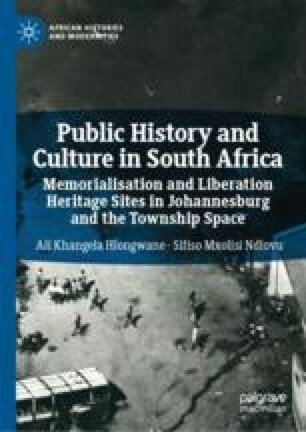 This chapter is essentially about the statement of significance of the Hector Pieterson Memorial and Museum in the light of the prescripts of the National Heritage Resources Act of 1999. This important statement is expanded in the publications of the institution since its establishment and opening in 2002. The Soweto uprising began as a peaceful Soweto students’ protest march, against Afrikaans being taught in schools, interrupted by police using live ammunition, dogs, tear gas and shooting unarmed and peaceful young protestors. Since 1994 this fateful day has been commemorated annually as Youth Day and has been memorialised in a series of linked monuments represented by the Hector Pieterson Memorial and Museum, the 16 June 1976 Interpretation Centre in Central Western Jabavu and the 16 June 1976 Memorial Acre. These are related commemorative liberation heritage sites connected to the struggle by students and the youth to end apartheid through grass-roots mobilisation. The chapter seeks to explore future opportunities for addressing current shortcomings underpinning the exhibition and storyline at the Hector Pieterson Memorial and Museum which does not prioritise human solidarity underpinned by both African and international solidarity. Hence, the chapter notes that while the international reverberations of the uprising are touched on, more still needs to be investigated and documented particularly in the international arena. These possible themes are further explored through oral history and recorded visitors’ comments.